26th October 2012. All the details on using the ExplorOz Events system to plan your outings this summer, and updating blogs on the go via your smartphone. Plus which ExplorOz Member is participating in the RFDS Outback Trek and how you can support the cause, we announce a new article on Driver Fatigue, and find out who's the latest $100 shop voucher winner. Also featured some great new shop products and our current Super Specials. Looking for events to go to now the weather's warming up? Find out what's happening near you with the ExplorOz Events system. There are all kinds of functions for you to attend, whether you're looking for something nearby, or an event to travel to. We've recently added a "Contact the Event Organiser" button - use this to find out more about any event. Know something we don't? Anyone can add an event to the system. To do this, simply click on the Add New Event button on the Events home page and enter the relevant details. Anyone who travels in the bush (and it doesn't have to be too far from major centres) is a potential user of the Flying Doctor. Car accidents and unexpected illness see "The Doctor" helping out travellers regularly. Member - STOCKY (QLD) is preparing to take on the Royal Flying Doctor Service's Outback Trek in 2013 and ExplorOz is a proud supporter of his Team. Stocky and his mate Hans have been busily preparing "Roy the HG" for the Trek (including the application of some ExplorOz Mega Bumper Stickers). To find out more and keep updated on their progress you can access his Blogs list here. And don't forget to visit their donation site if you'd like to make a contribution to this worthy cause. Submit Blogs via Email from your Phone! Are you using member features such as EOTrackMe and Blogs to keep friends and family up to date on what's happening on your trip? Dragging out the laptop can be a bit of a hassle when time and space is at a premium, so don't forget that you can submit your Blogs (including pictures) via email from your smartphone. Just ensure that the email address listed on your My Details tab matches the one the emails will be sent from and you're all set to start submitting. Not a member? To gain access to Blogs and many other member features - join today! 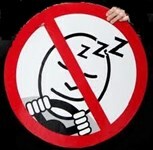 Driver fatigue is one of the leading causes of car accidents in Australia, particularly on highways and remote roads. This article provides tips on how to prevent driver fatigue, spotting the signs of fatigue, and how to get the most out of your rest break so that you'll get to your destination safely. • Drover's Beef 'n' Bean - with a hint of spice! Each Happy Camper Gourmet product is available in either individual packs or in bulk carton buys, so you can stock up and save! Congratulations to September's winner: Renato R.
Take the hassle out of cleaning your boat this summer with the Eco Trailer Wash system - a bargain at only $49.99! These essential map guides are now available for The Otways Range and the North Flinders Ranges! View the whole range here. 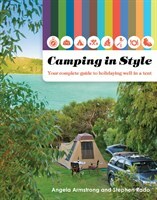 This must-have book has all the advice a first-time camper needs to enjoy their first night under the stars. Practical tips & advice. This Australian biography of a North Qld female truck driver brings back memories of a time when you literally had to make your own road. A time with no mobile phones, no computers or sophisticated trucks - just Australian spirit and lots of hard work!